Xerox Obtain Industrial Inkjet Provider, Impika | TonerGreen - Eco-Friendly Toners from the U.S.
On February 26, Xerox announced that it had finally acquired Impika, the Industrial Jetting Solutions, which specializes in the production and sale of production inkjet printing solutions used for industrial, commercial, security, label and package printing. Impika is a company based in Aubagne, France, which started in the year 2003 with "eleven inkjet specialists with 20 years of experience coming from a well known industrial group, founded together their own company, starting an original business story." Impika has a wide portfolio of aqueous (water-based) inkjet presses based on proprietary technology, and product lines including iPrint, a range of continuous feed production printers, and iPress, a range of graphic communications digital presses. 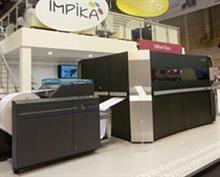 Through Xerox acquisition of Impika, Xerox announced that it will market range of digital presses to strengthen in its digital color production printing. Looking for Xerox toner cartridges? TonerGreen offers a wide selection of eco-friendly remanufactured Xerox toner cartridges. We offer a full line of remanufactured Xerox copier toner and Xerox toners for all your printing needs. Our remanufactured toner cartridges are guaranteed to work perfectly on your Xerox devices. Best of all, they are cheaper than OEM cartridges with hardly any difference in print and color quality. Disclaimer: All trademarks that appear on this site are the property of their respective owners, who may or may not be affiliated with, connected to, or sponsored by TonerGreen.